Lowongan BUMN Waskita Karya Divisi Gedung – Jarno.web.id – PT Waskita Karya (Persero) was established in January 1, 1961 Waskita Karya is one of leading state companies in Indonesia which plays a major role in the development of the country. Originated from a Dutch company named “Volker Aannemings Maatschappij N.V.”, which was expropriated under the Government’s Decree No.62/1961, Waskita Karya was initialy paticipated in the water related developments including reclamation, dredging, harbor and irrigation. Eversince 1973, however, legal status of Waskita Karya’s has changed to “Persero” PT. Waskita Karya, with a more familliar summon “Waskita”. From then on, the company started to expand its business as general contractor engaging in a wider range of construction activities including highways, bridges, ports, airports, buildings, sewerage plants, cement plants, factories and other industrial facilities. 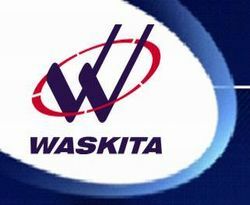 In 1980, Waskita started to undertake a wide variety of projects involving advanced technology. Transfer of technology was conducted through business alliances in the form of joint operations and joint venture with reputable foreign companies. Significant and outstanding accomplishments whice become national pride are Sukarno-Hatta Airport, Siwabessy Multipurpose Reactor, and Muara Karang Coal Fired Power Plant in Jakarta. Proses rekrutmen PT Waskita Karya Divisi Gedung tidak dipungut biaya. Jarno.web.id – Info Lowongan BUMN CPNS 2019 © 2019 - 16 q. 1.147 s.